There’s no getting around the fact that chronic pain stinks. I know, because I lived with excruciating back pain for about six years. It radiated down my leg, and prevented me from getting a good night’s sleep. No matter how hard I tried, I couldn’t get comfortable in bed. It was no picnic being awake either. That’s because I could barely walk. Essentially, I was crippled. I couldn’t take care of my family. My body was broken. I dragged myself around, attracting curious stares from people who probably wondered what had happened, and how much longer I had to live. In fact, some people were very candid in their assessment of my health. One woman, who owned a health food store, hadn’t seen in me in awhile. When I finally went shopping there again, she remarked that she thought maybe I had died. That’s how sick I looked. However, I also had something going for me. That was my prior knowledge of natural health. Unfortunately, I wasn’t putting what I knew into practice, at the time in my life when my disease hit. I was eating a lot of junk food and making dinners the lazy way, with processed food. Even though I was sick, I believed, from the bottom of my heart, that my body had the potential to heal. So, instead of focusing on the pain, I put all of my efforts into getting better. Yes, it took years. I made some mistakes. Sometimes, some of the natural remedies would make me feel worse before I felt better. But I didn’t get angry at my pain. Nor did I subscribe to the mainstream medical belief my condition was incurable. The worst of my pain centered in my back. It also radiated down my leg. Oftentimes, this part of my body would have painful spasms, making it all but impossible to walk. I shook off feelings of despair. Instead, I wanted my pain to count for something. I’m Catholic, and we believe we can unite our sufferings with Jesus, on the Cross. So that’s what I tried to do. That way, my pain had meaning and it wasn’t “going to waste.” I trusted He’d know how to turn it into good. Since I was already fighting pain, I decided not to make it worse by battling it in my mind. Instead, I tried to make peace with it. That’s because I already had so little energy. So expending it on something I didn’t have much control over didn’t make sense. For me, it was much easier to accept my new reality. That freed my mind up to try and find a solution. I know that might seem like small consolation. But to me it was a big one. Also, since I wasn’t battling the pain, at least in my brain, my mind was free to pursue natural remedies. Fortunately, for me, my pain has lessened a great deal. I know I’m not cured, and I know if I stop leading a healthy lifestyle, it will probably come back, maybe with a vengeance. It took years before I felt a lot better. Nothing much changed until I made the drastic decision to give up dairy products, one of my favorite foods. Diet changes, combined with a lot of natural remedies and healing methods, allows me to live a normal life. I still get tired, easier than the average person. But I’m grateful I’m feeling better. I’ve tried hard to find meaning in the pain. It’s taught me a lot. It’s changed my life. It’s also brought blessings. Because of my unique perspective of healing (for the most part) from chronic pain, I’m able to write about it. So I have a brand new career, allowing me to work from home. One of the most satisfying parts of my job is helping others. I want to give them hope. Some people can recover from chronic pain, at least partially. If enough of us tell our stories, word will get around. Patients will visit their doctors with a different set of expectations. They’ll expect to be healed, instead of just drugged. I try to get through this by accepting my pain and not fighting with it. It can be a lonely battle. But we’re not alone. 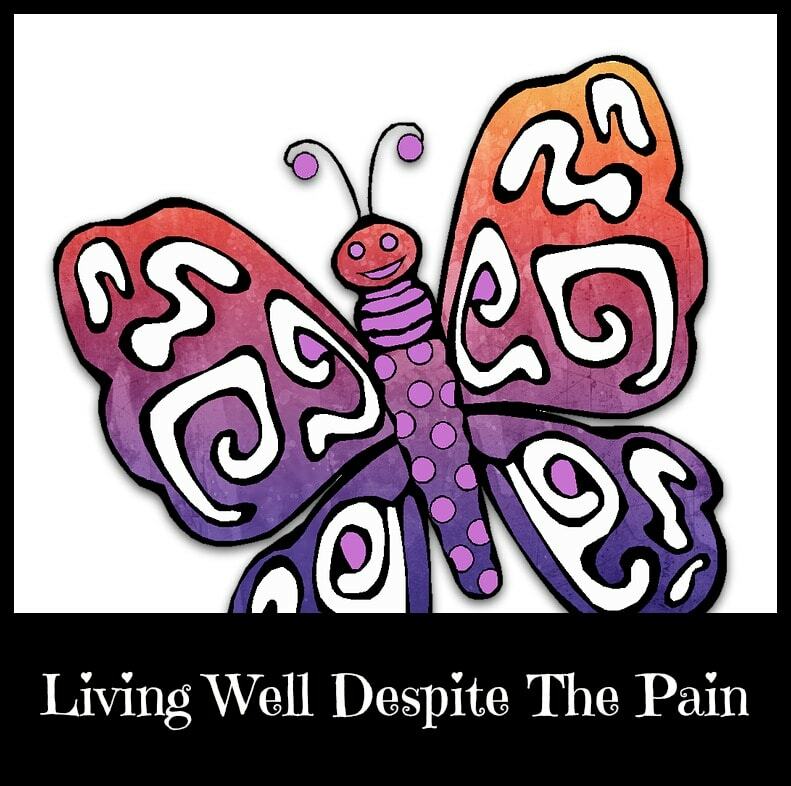 There are active and engaged fibro support groups on Facebook. That link will direct you to my private Facebook group. My only caveat is to not spend too much time in a negative group. I think the negativity can be contagious. Instead, try and find like-minded people who deal with their pain in a more positive manner. Because moving forward and living life to the best of our ability is our only real option. I also have a public Facebook page. If you follow this page, you’ll see daily posts and updates on dealing with fibromyalgia naturally. Many of us in the group have found relief with lifestyle changes and natural remedies.